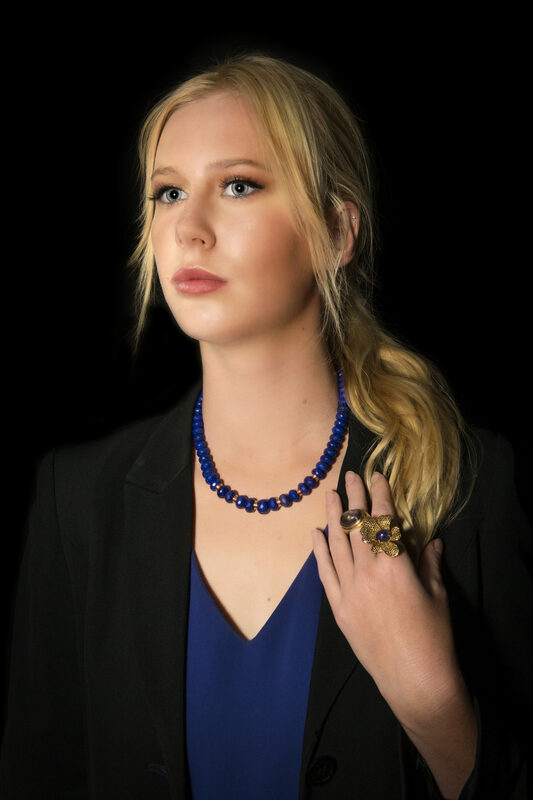 View cart “Lapis Lazuli & 14KT Gold Necklace” has been added to your cart. 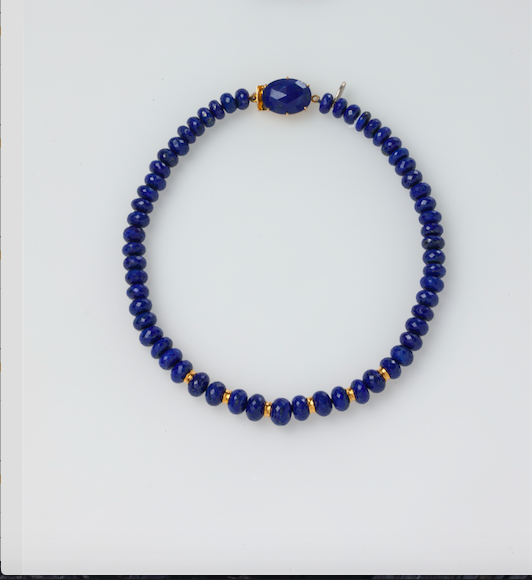 This single strand of high quality, faceted lapis lazuli, highlighted with 14 KT yellow gold rondelles and large faceted lapis gold plated silver clasp. 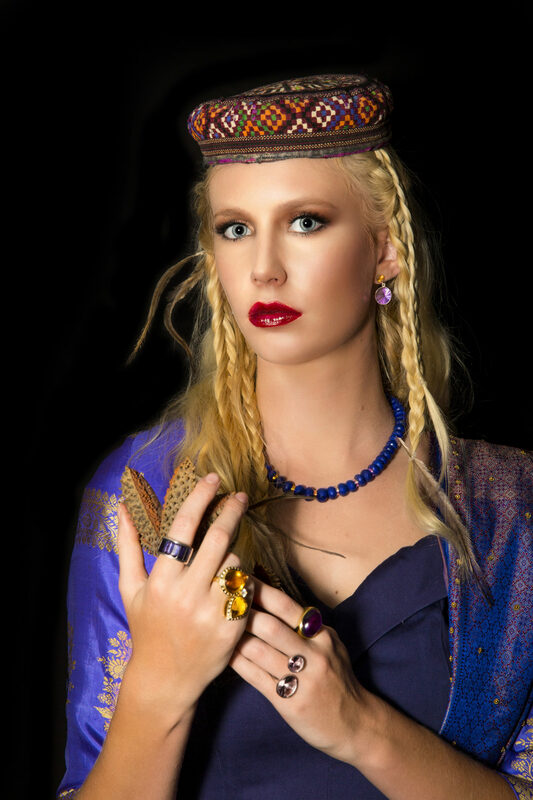 As the clasp is quite large it has been made in gold-plated Sterling Silver so that the clasp stone can be removed while the setting is re-plated (and then re-set). 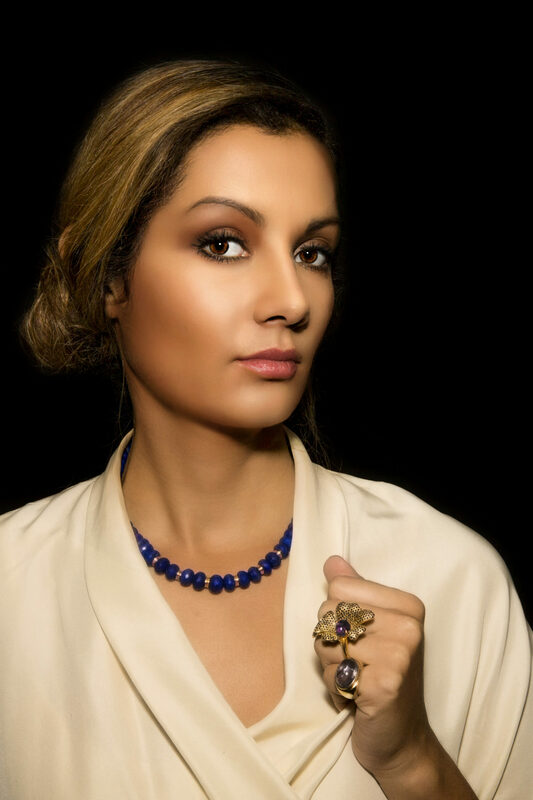 It is an elegant necklace of very fine quality lapis that could be worn in virtually any occasion from dinner to lunch, work or weekend (from suits to boho to casual styling).